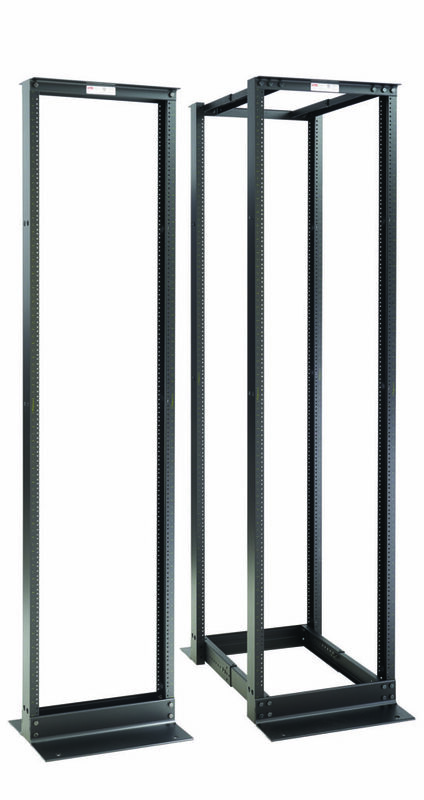 nVent/Hoffman Open Frame Racks satisfy a wide variety of networking needs. The 2-post rack satisfies basic cabling requirements and the adjustable 4-post rack supports deeper, heavier equipment. Visible, permanent RU marking on rack uprights enable easy equipment alignment without measuring for communication data centers and telecommunication rooms.